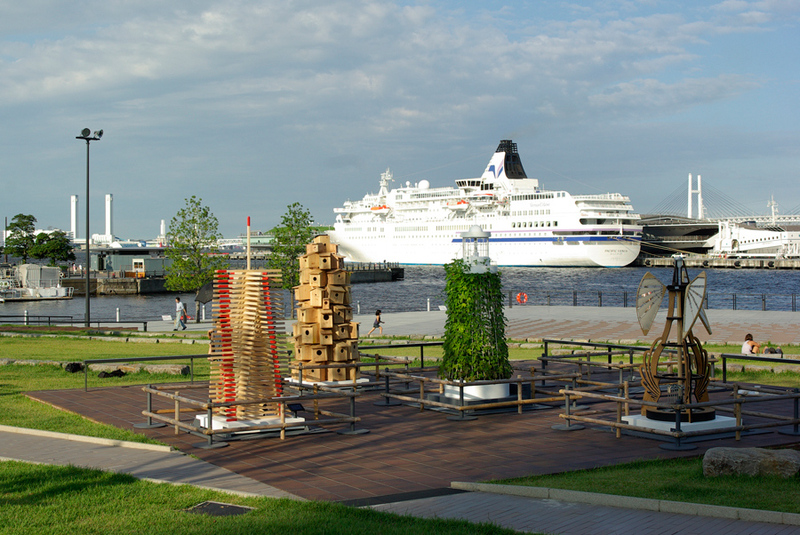 Lighthouse Art Work was held in connection with the regional exhibition that commemorated the 150th Anniversary of the opening of the Port of Yokohama. 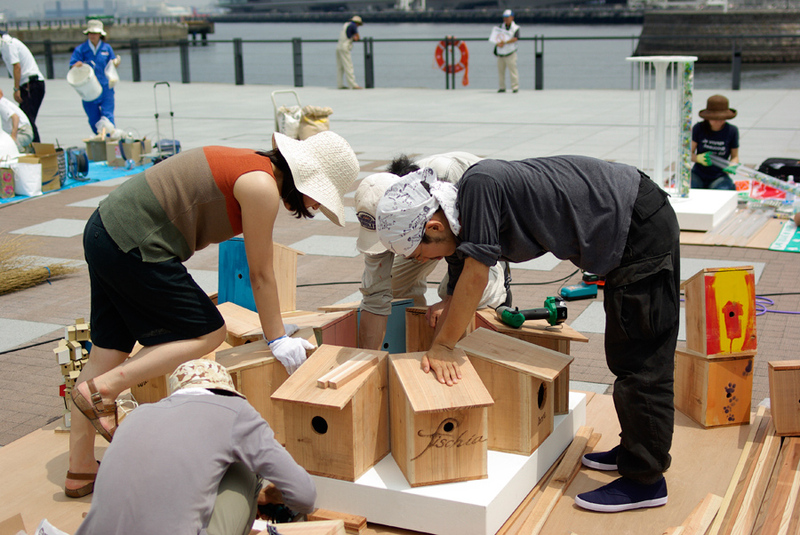 Five students of Inter-media Art at Tokyo University of the Arts participated in the project as a group. The purpose of the project is to create a space that functions as a lighthouse or a port that sees our beginning and return as well as departure and arrival. 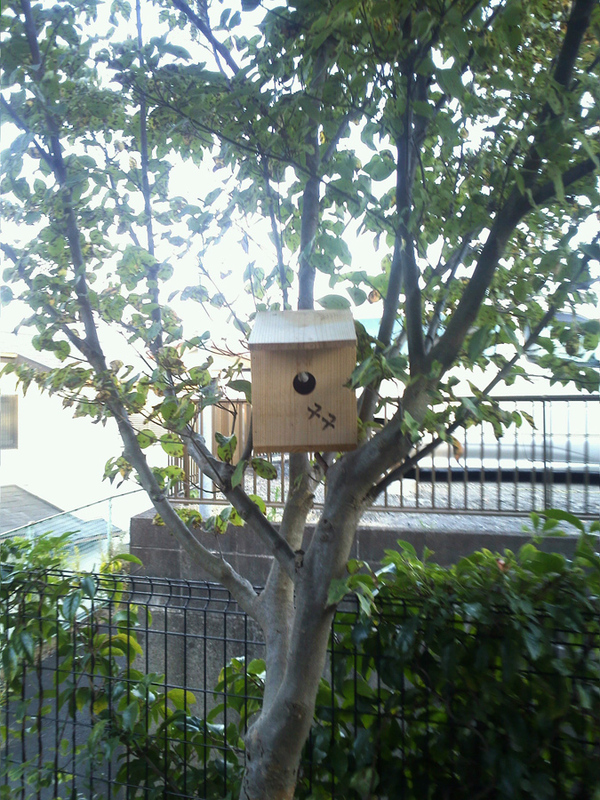 Just like multi-cultural Yokohama, birdhouses are mixed aggregates. The name ‘KuKuRi’ reflects the hope of returning to homeland. 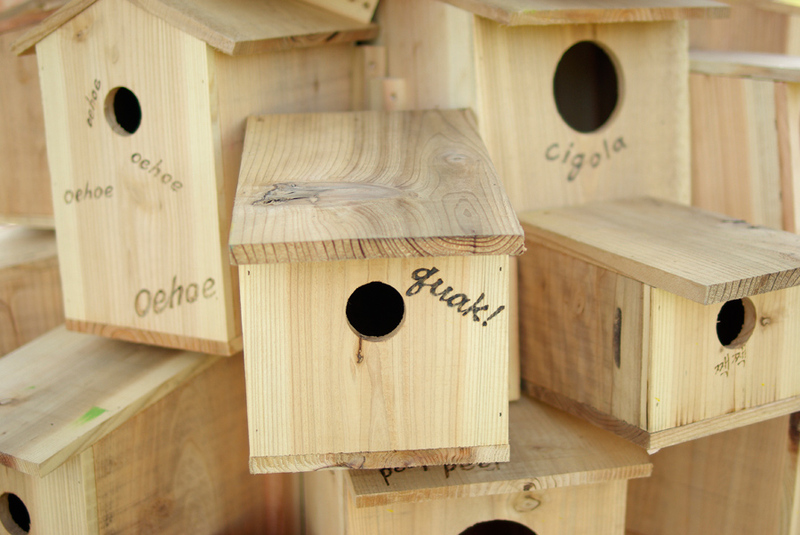 We have researched different sounds of birds across the world and inscribed them on the birdhouses. 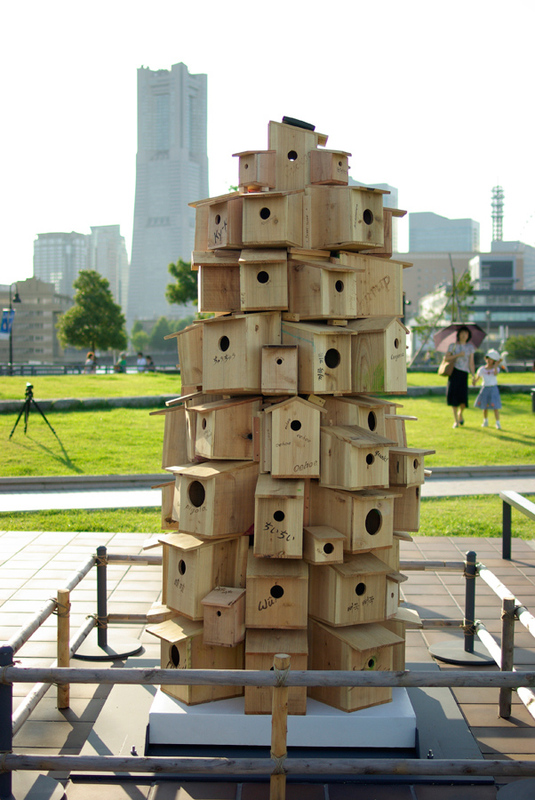 The birdhouses used for the project will be disassembled once the exhibition is over and given to those who wish to take them. 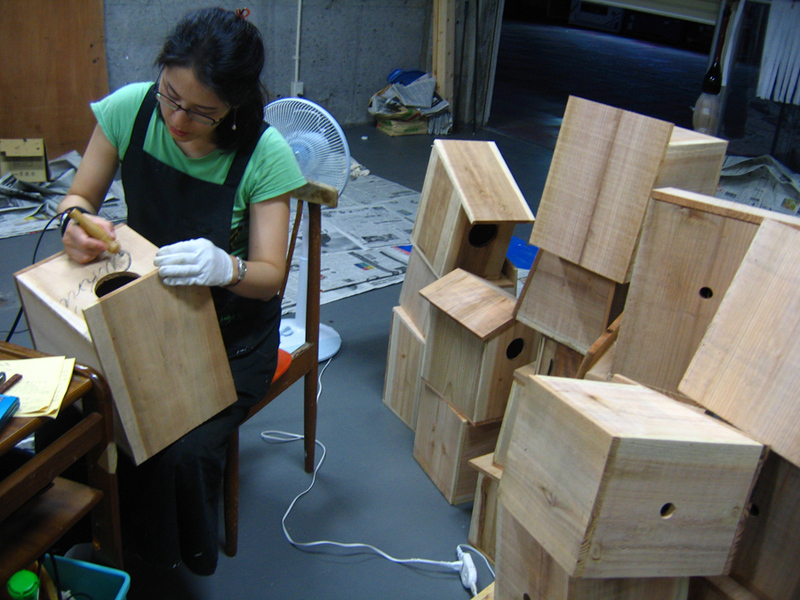 I hope the birdhouses make further expansions into new spaces in the new owners’ homes. 본 행사는 요코하마 항구 개항 150주면을 기념하여 개최된 지역 박람회의 관련 이벤트로 기획된 “등대 아트 워크”입니다. 도쿄예술대학 첨단예술표현과 재학생 5명이 그룹을 만들어서 참가했습니다. 등대, 항구, 출발, 귀환, 발착으로서의 장을 만듭니다. 다문화가 혼재하는 요코하마처럼 믹스된 집합체인 새집. 다시 고향으로 돌아오기를 이라는 뜻을 담아 “쿠쿠리”라는 이름을 붙였습니다. 각국의 새소리를 조사해서 새집에 각인했습니다. 전시에 사용했던 새집은 전시 종료 후에 분해해서 원하시는 분들에게 건네드립니다. 받으신 분의 집에 설치되어 새로운 장소로 뻗어나갔으면 좋겠습니다.